At the beginning of May this year I have the great privilege of being one of the presenters at the 2nd European Integral Conference near Budapest in Hungary on behalf of Integral Coaching Canada. The European Integral scene has been steadily growing and deepening it roots over the past few years and I felt the last conference in 2014 helped cement this new path forward for us all. After many years of feeling like the distant poor relative of our Integral parents in North America I see Europe as now stepping up and stepping into the Integral global community and leading the way in a new era of applied and embodied Integral. The multitude of projects and applications of Integral in Europe are mind blowing and many of these are being led by graduates and students of Integral Coaching Canada. This is why I can’t wait for this year’s event to meet old friends and new, and to find out what incredible developments have been happening in the past 2 years! I will be offering two separate events at this year’s conference and will be giving participants two different ways to learn and experience Integral Coaching Canada’s unique methodology for change. The first will be on the Friday morning in the Leadership Development section, where I will be taking people on an engaging journey into how change actually happens in Leaders, how we can intimately meet them in their own personal perspectives and capacities and work with their unique AQAL constellation to cultivate embodied change. Then the second and main event with be on Saturday afternoon and will offer a deep dive into the method and how we use it to create long-term embodied change in our clients. Further details about these workshops are below. While the conference is taking place I will also be offering a unique opportunity to all who visit our poster section, attend one of my sessions, or meet me in person. 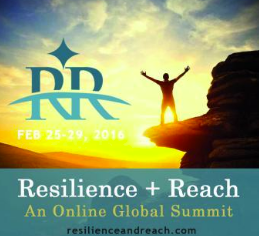 Each day I will pick one lucky winner at random who will receive free full access to the Resilience + Reach, Online Global Summit. This is an incredible array of wisdom and knowledge from 30 of the world’s top Integral Master Coaches™ who are applying their expertise and skills to transforming the lives of thousands of people around the globe. The package also includes bonus interviews and panel discussions to stimulate your mind and soul as well as a copy of the Integral Coaching Canada version of the Journal of Integral Theory and Practice. Each day at lunch I will also be hosting an ‘Integral Coaching Canada Table’ in the restaurant. Please join me. 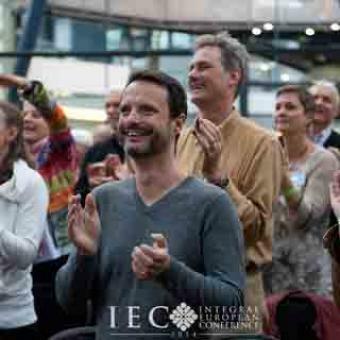 This is a place for ICC graduates, students and curious Integralists to come together, meet the European Integral Coaches™ at the conference and find out more about our work and our courses. Look out the for sign and our logo to find us! Until May, hope you all have a wonderful spring and hopefully see you all on the sunny banks of Lake Balaton soon, keep those Integral fires burning. 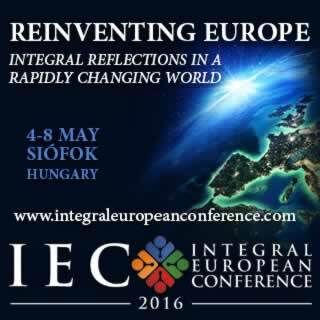 You might have heard that the biggest integral gathering of the world in 2016 is happening in Europe this year - the Integral European Conference (IEC2) from May 4-8 in Siófok, Hungary. During these 4 days in May 600 integral people gather from all corners of the world to get to know each other and share where the integral world is at now. We also participate in co-creating and programming the future that has a global impact for the movement. The keynote speakers are Ken Wilber (video), Dr. Don Beck, Thomas Hübl, Jos de Blok, Said Dawlabani, Elza Maalouf and Annette Kaiser. But it is not just presentations. At least half of the time we spend with juicy experiential processes, experiential learning, large group processes and a lot of time to socialize, connect and free flow with the buzz. You can see it as a high-energy quality retreat at a lakeside, which contributes to your professional and personal growth in a beautiful 4 star hotel environment. How do you skilfully work with Leaders on their personal journey of growth and development when each has a unique AQAL constellation? There are themes and patterns which show up of course, but everyone’s perspective is an individual as a finger print and has to be honoured, included and skilfully worked with in order for real change to occur. Once Leaders are able to make object their unique perspective, beliefs and assumptions, then embodied change can start to happen and a new way is possible through developing new skills and capacities. This new way then transcends and incudes their old one and supports them to overcome their current challenges and achieve their professional goals. Join me in this engaging and dynamic presentation to find out how Integral Coaching® directly applies Integral Theory and the skilful use of metaphors to achieve insight, integration and embodied sustainable change for our Leaders in the world today. Personal change and transformation is at the heart of an Integral perspective. But understanding and skilfully working with what it actually takes to cultivate sustainable change, in yourself and in others is no easy task. With so much to attend to and so much complexity within us, even when we have the will and insight and are experiencing great pain where we are, actually causing transformation is beyond reach for so many of us. So what does it actually take to create lasting embodied change? In this workshop you will have a direct taste Integral Coaching Canada’s methodology through a serious of fun and interactive, ‘learn it, try it and reflect on it’ exercises which offer you both theory and experiential learning to take away with you. We will dive into ICC’s include and transcend coaching model, take you on a tour of your own unique view from within the quadrants, and discover what ‘muscles’ we could build to support healthy and sustainable change. If you’re interested in advancing your skilful means and application of Integral theory and practice in your life and work, you don’t want to miss this.